The district superintendent of schools is responsible for the overall management of the district and serves at the pleasure of the Governing Board. The Superintendent's Message page is updated quarterly with analysis and commentary on issues or trends in education; see page link in the blue menu box at right. We invite you to view or download the Superintendent's Road Show, a quarterly presentation and Q&A forum offered at rotating school sites during the school year. Road Show presentations are open to the public, so we welcome parents, volunteers and staff to attend to come learn about educational topics and timely issues affecting the district. 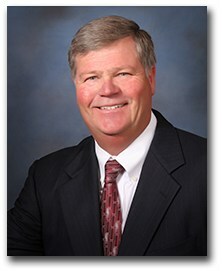 Dr. Doug Kimberly joined LEUSD as Superintendent of Schools on July 1, 2012. He earned a Doctorate in Education Administration from USC in 2008. He is a graduate of California State University, Long Beach-B.A., Psychology, and California State University, Fullerton-M.A., Education Administration.